Baking a difference – where the puffs are creamier and the apples addictive.Keeping it simple, keeping it tasty. PAFU brings you that authentic and nostalgic homemade taste, perfect for every occasion! Indulge in our freshly baked goodness. Our puff pastry is layered laboriously for that ultimate gravity-less impression. Layered with care and love, the pastry is also named pâte feuilletée, where it sounds just as magical as the science that goes on between the dough. With just the right calculated amount, steam from the butter and water in the dough would create little chambers in between each sheet of pastry, kind of like little pockets of pillows that locks in all the airy, buttery, creamy and extraordinary mouth feel! Abiding by the internationally traditional way of doing an apple justice. Our apples are lovingly treated with sugar, spice and everything nice. Lathered with a tender touch throughout the entire process, from individual crisp cut fresh apples, down to the affectionate slow churn in stewing those apples. Once stewed, the apples lock in its divine sugary and tarty kick into little bites of flavour burst, swimming around in our filling, ready to complete its journey onto your plate and straight to your sensory core. Pun intended. Cutting through the stewed apple goodness like a perfect smooth note that completes a gastronomical symphony – our piped custard is a rich blanket of cream that envelopes around the puff’s apple filling. Luscious, satisfying, scrumptious, it tingles your taste buds and sends happy vibes to your brain. What are the origins of PAFU? 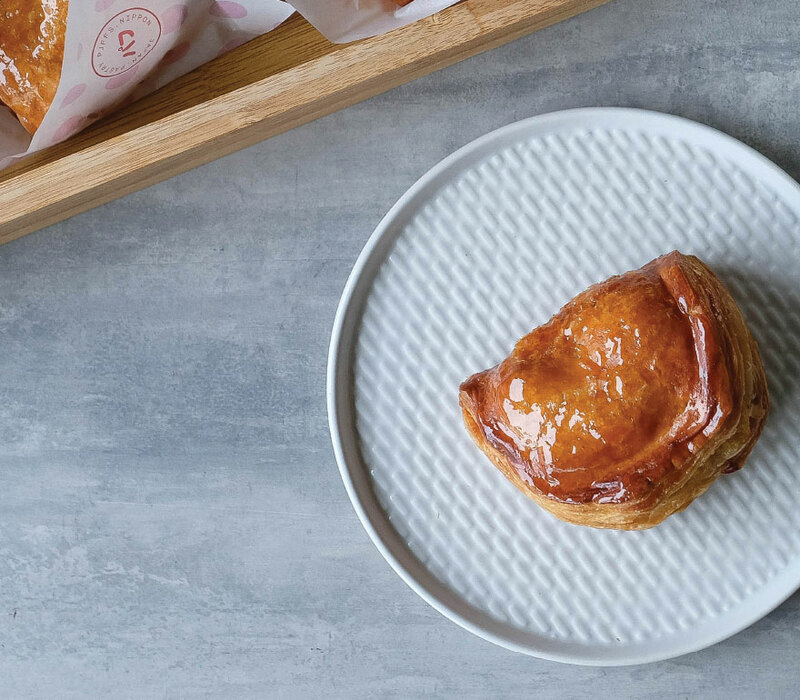 Based on the Melbournian contemporary concept of gastronomical fusion, PAFU is the holy union of the traditional French turnover (ou chasson aux) and the Japanese Shou pastry (シュークリーム) that is going to level up your pastry game. Future flavours/ size of tart? At the moment, our puffs come in palm sized. Follow us on Instagram and Facebook to hear it first or get first dibs when we roll out new products! As many as you’d like. Life is short, nostalgia is real, treat yourself. Alternatively, you can call for backup and share the puffs with your crew for that extra social brownie point! What is the best way to eat my puffs? We recommend you to enjoy PAFU fresh within the day of purchase. If you’d like to reheat it, pop it in the toaster for that extra toasty flakes for a minute. If you have no plans to consume your puffs asap, please keep them chilled in a fridge. Can’t find your answer here? Email us! PAFU QV IS NOW OPEN!